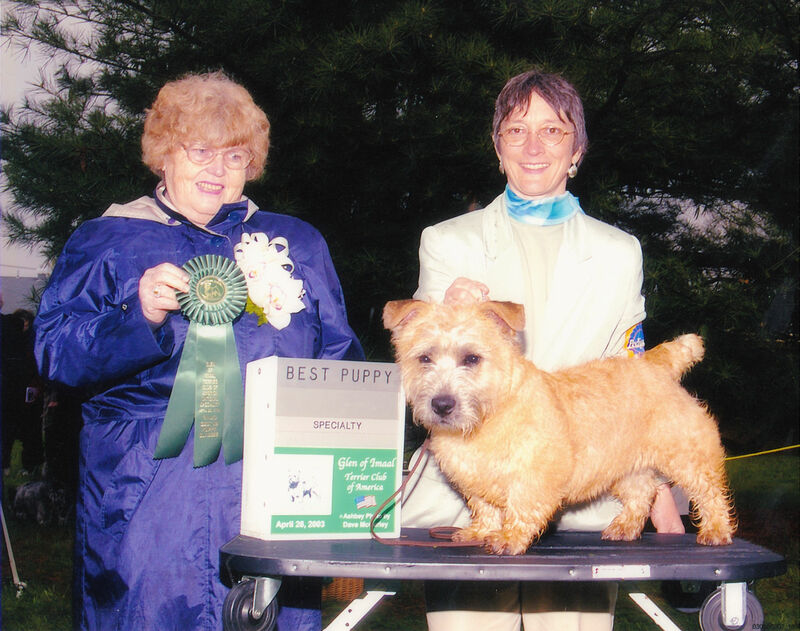 Ballyfoyle Scoobie with owner/handler Ara Lynn at Montgomery in ’04. 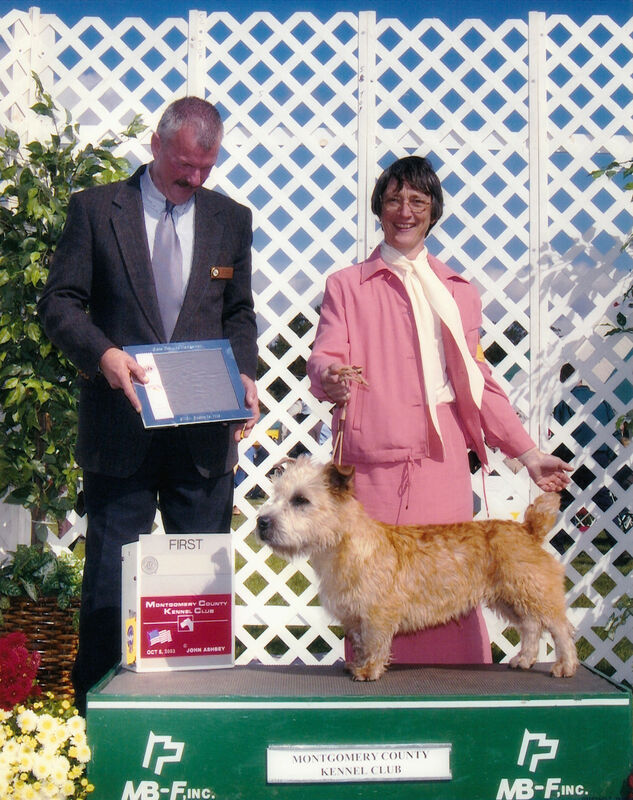 On the first three days of AKC breed recognition, Scoobie won his Championship with three consecutive 5-point majors, making him the first AKC Glen of Imaal Terrier Champion Dog. 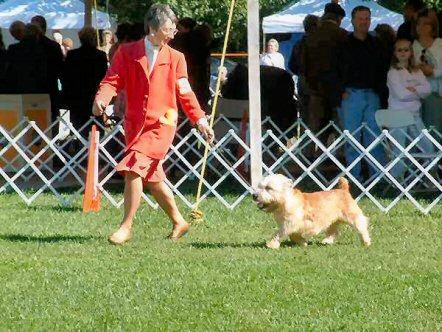 Two weeks later Scoobie placed Group 4 at the Albany KC Show under Mrs. Judith V. Daniels. 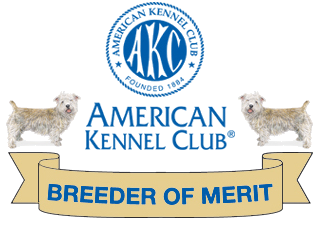 Many thanks to all the judges who recognize Scoobie’s awesome portrayal of the breed! 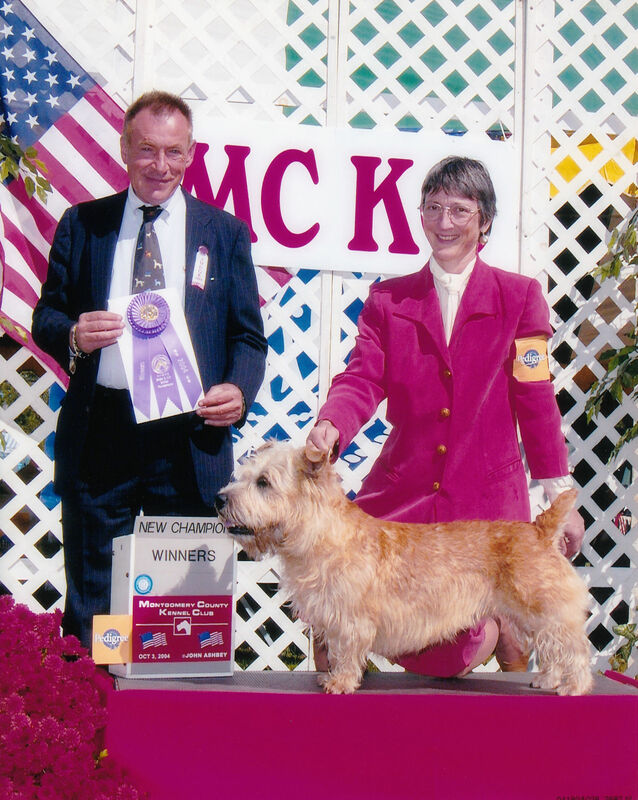 Judge Mr. Kenneth Kauffman awarded Scoobie- Best Miscellaneous Dog, out of a field of 12 dogs at the age of 10-1/2 months. 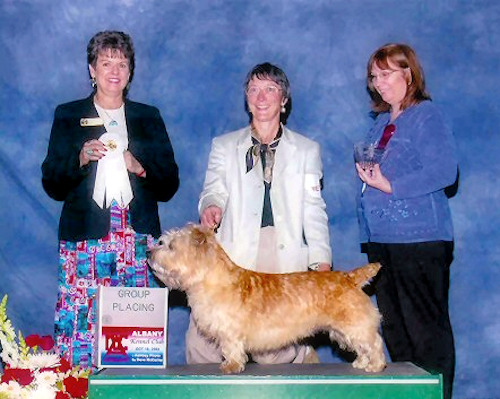 We were unfortunately unable to attend the GITCA National Specialty in ’04. Mrs. Judith V. Daniels awarded Scoobie Group 4 in mid-October.